Ryan Young outlines how he got so good at doing trick catches with a frisbee. Basically its practice and repetition. In the video Ryan goes over a great target, 5 catches in a row for each trick catch you want to master. Ryan suggests under the leg, behind the back, chair, and flamingo are the best to start with. One interesting observation I’ve made about doing drills. I play freestyle frisbee for the jam. It’s so much fun to succeed with your friends in the jam. Drills seem like work, not fun, and the jam is never about doing repetitions. However, my desire to be a better jammer overcame my distaste for work. I did the drills. In my living room, bed room, at work, on walks, I just kept trying skills. It turns out, the better I got, the more fun I had in the jam. Because of that, the drills never really feel like work. And yes, I still do them. As does Ryan. 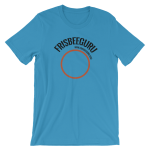 What drills do you do to get better at Freestyle Frisbee? Ryan Young gives some hints for catching the elusive scarecrow catch. This is one of the harder trick catches to master, yet so one the most useful. Ryan gives us 4 tips. First, your need a consistent set. To really practice the scarecrow you must first practice giving yourself the exact same set every time, whether that is from a throw or a set from a delay. Making a consistent set is actually a very useful skill in and of itself, but it turns out that catching a scarecrow is very different from one angled set to the next. Second, when you go for the catch, really turn you hand over. This will line up your grip with the disc. Third, step into the catch with the opposite leg. So if you’re catching right handed, step with your left foot. This will help with the body and shoulder twist so the hand grip lines up. Forth, practice each angle separately. As mentioned earlier, the angle changes how you catch the scarecrow. To truly master this catch you want to be able to catch it on any angle. Try steep. Try Flat. Try with the nose going toward your back. Each of these is a skill all it’s own. Lisa demonstrates a little catch called the Piccolo. This catch is a variation of the behind the head catch. It’s called a Piccolo because you grab it with two hands, similar to how you would hold a flute or piccolo when playing. This catch is actually blind because as you spin into it you turn your gaze away from the disc. To catch it, set the disc up flat over one shoulder. Then watch it as long as possible as you turn away from it. As the opposite shoulder passes under the disc, grab it with both hands. Making the Piccolo sound is optional, but will gain you bonus points :-). The ScareCrow is one of the more challenging trick catches in freestyle frisbee as it is blind. The position to catch a scare crow is with the arm extended straight and the thumb down. Bend over and twist at the waist so that as you twist you lose sight of the disc. Your arm swings around and you catch it just as you lose sight. To practice, give yourself a light toss about head height over one shoulder. Toss is either flat of with a slight nose pointing behind you. Then watch the disc, bend and twist and try to find it with the hand opposite of the should you tossed the disc over. The secret is to watch the disc as long as possible. Turn your head and your eyes toward the disc so that you lose sight only at the last possible moment. Another tip I forgot to mention in the video is to open your hand as wide as you can. I sometimes will stretch my first finger and thumb to get the opening as wide as possible. This way there’s less chance of the disc hitting your thumb as you come around.